Yin Shuzhang, 76, can never forget one winter night in 1943. It was the night when her family and a neighbor's family stayed in a small cave close to her village on the coast of east China's Shandong Province to hide from Japanese soldiers patrolling the area. "In those days, things like this happened almost every day. Running away from the Japanese was routine," she recalled. "How can I forget those terrifying days?" 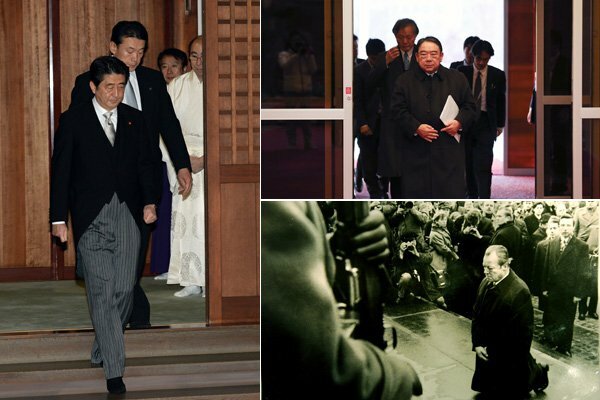 Chinese State Councilor Yang Jiechi severely criticized Japanese Prime Minister Shinzo Abe's visit to the Yasukuni Shrine, calling it a brazen affront to people of all countries that suffered from Japanese aggression and colonial rule. UN Secretary General Ban Ki-moon said, "Leaders bear a special responsibility to be sensitive to the feelings of others, especially the memory of victims, as the region should strive to be forward-looking and harmonious." "We were disappointed that Japan's leadership has taken an action that will exacerbate tensions with Japan's neighbors," said Marie Harf, spokeswoman of the U.S. State Department. "Our message is very clear from the words we chose."